At NEI, our goal is to bring you things that have never been done before. We also want to do everything in our power to help the kids and families in the Northwest. One of the issues that we’ve continuously heard from kids and their parents is that Colleges all run their camps in the Summer at the same time. It’s literally impossible to get to every different College and their camp. Another issue we hear a lot is that many kids and families just don’t have the time or finances to get to any of those camps. So in our own small way, and with a lot of our own time and money, we decided to help. In a 17 day time span, from Saturday, June 9th through Tuesday, June 26th, we visited and attended 13 different Colleges and their summer camps. This was far from a vacation however, as we looked at this as a business trip. Our goal was to capture as much footage of each school’s campus and facilities and bring that back to the kids and families of the Northwest. At the same time, it was a chance for us to develop relationships with these schools and their coaches, in order to better help all the great players of this region. We saw firsthand the results, as many of the schools we visited have ended up offering our kids. In fact, a couple schools who previously didn’t recruit the Northwest and didn’t even have 1 coach on their staff assigned to recruit it, now have assigned a coach to recruit this region. And that ladies and gentlemen, is what being all about the kids truly means. And at NEI, that is what we’re all about. They say the proof is in the pudding. Well, if you don’t believe my words, watch the footage from each College stop on our Tour and see for yourself. The 10th stop on my College Tour was to Grand Forks, North Dakota to visit the University of North Dakota Fighting Sioux. This was the most intriguing stop on my travels, and I wasn’t really sure what I was in for. I’d never been to North Dakota, didn’t know much about the football program or school, and didn’t even know what city it was in. By the 2nd day of my visit, I was calling kids from back home and their parents telling them how great the place was and that I thought they needed to get out to their July camp and see everything in person themselves. North Dakota competes at the FCS level and is now playing in the Big Sky Conference. It’s on the eastern side of North Dakota and the city it’s in, Grand Forks, actually borders and carries over into Minnesota. On my visit I actually had one day where I watched camp then had lunch on their campus in Grand Forks, North Dakota, and later that night had dinner 15 minutes away from campus in Grand Forks, Minnesota. North Dakota was competing at the Division 2 level up until the early 2000’s, and actually won the Division 2 National Championship in 2001. Since their jump to the FCS level, they have had a lot of success and a lot of winning seasons. Their addition to the Big Sky Conference is huge and will be a very telling story about where the program is at and where it’s headed in the future. In all my travels on this summer’s College Tour, there’s a history behind where I went and why I went there. North Dakota is no different, as I had a great reason to go. Greg Breitbach is the QB Coach and Offensive Coordinator there. We go back a long ways as he used to coach at Lewis and Clark College for Mike Fanger(new Head Coach at West Linn HS in Oregon)and actually helped coach for my Barton Football Academy when I ran camps there. He was an awesome coach then and is an even better coach now. As North Dakota is joining the Big Sky Conference, they only thought it natural to come and recruit the Northwest now. 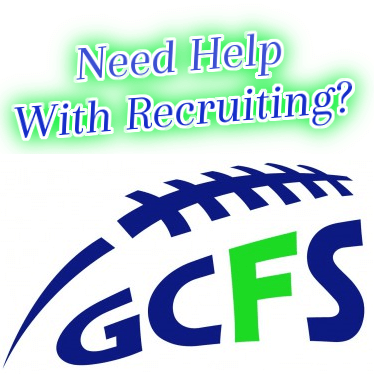 Coach Breitbach is the coach on their staff responsible for recruiting the Northwest, so we got in touch and have been in constant communication since. He’s done a great job so far in spotting and evaluating talent in this region, and has put out offers to kids that are definitely deserving of them. As we continued to talk about all the different kids in this region, as well as the North Dakota program and what they have to offer, the idea about me coming out there came up and I jumped on it. It would be a great chance to go visit Coach Breitbach in person and also see what North Dakota as a program and school had to offer potential student athletes from the Northwest. When I landed I was immediately taken aback by the lush scenery. Summertime in North Dakota is beautiful and when I got to campus I was blown away by how nice the buildings, houses, campus, and facilities looked. North Dakota was having their football camp that day, and Coach Breitbach and his staff had just finished up their meetings. He met me in the parking lot and walked me all around their athletic facilities. After about an hour, their camp started so I spent some time in the stands and the rest of the time on the field watching the North Dakota coaches to see how they coached and how they interacted with the players. While on the field, I even met the Head Coach and had a chance to visit with him. Chris Mussman is a very good coach, and an even better person. He’s very personable and friendly, and does a great job representing the school and program of North Dakota. He’s been a very successful coach at every school and level he’s been at, and has North Dakota primed to be a National Powerhouse at the FCS level. After camp coach Breitbach took me on another tour of North Dakota’s Indoor Game Stadium and complex. On the attached footage you’ll see how cool the whole place is. It’s a huge location that houses their Indoor Stadium, Convention Center, Hotel, and Indoor Water Park all next to each other with a massive parking lot to accommodate all the people coming to one or more of the spots. After taking in everything there, we headed to dinner in Minnesota and spent time talking about both football and life. Not many coaches would take the time in the middle of running their summer camp, while also having a family at home, to go to dinner with someone like myself and take up their whole night. But that right there is what makes Greg Breitbach so unique and someone that I would feel totally comfortable with sending any of our Northwest kids out to, knowing they’d be taken care of both on the field and off of it. The next morning Coach Breitbach again met me early and showed me around the UND campus. I’ve been to a lot of campuses all around the country, and this is as good if not better than all of them. If you close your eyes and envision what exactly a college campus and town should look like, open your eyes and look no further than North Dakota. Again, when you watch the attached footage you’ll see exactly what I’m talking about. A cool Characteristic of their campus that not many of us in the Northwest are familiar with that UND has is an underground tunnel system. I’m sure in the rainy Northwest at times we wish we had them, but at UND they do and they’re glad they do. In the winter time it gets pretty cold and they deal with a lot of snow. So to combat that, they developed a grid of underground tunnels that connect students anywhere on campus from their dorms to the campus. At one point on the footage you’ll watch, I actually walked down into one of these underground tunnels to give you a look at exactly what they’re like. Overall I would give North Dakota a solid B. The only thing really holding me back from putting it at an A is the distance. Their facilities are pretty amazing, from their current coaches offices and practice field(was their game field until 2001) to their soon to be built $24 million dollar new football complex. Their game stadium and that entire complex are like nothing I’ve ever seen before, and the campus and city are exactly what anyone could want in a College experience. Their coaching staff is made up of great people that actually care about the kids in the program not only on the field but off it as well. They are playing in the Big Sky Conference now, so at the FCS level you’ll be playing against the best competition that level has to offer. And the icing on the cake for me was a fact that almost slipped through the cracks on my visit, and I was made aware of accidentally in passing by Coach Breitbach at dinner. North Dakota is the only school at the FCS level that has a private, chartered plane for their football team to every away game. No buses or standing in long lines at a commercial airport. The team hopes on the bus from their athletic facilities and heads to a private terminal where they exit the bus and jump right on the plane that only their coaches and teammates are on. If the footage you watched and the write up you read didn’t convince you that North Dakota is big time, then that fact right there should have just sealed the deal. The only thing I knew about Utah State was that they almost beat Auburn the 1st game of the season last year. Other than that, I couldn’t have told you what city it was in or what league it was in. All of that has changed, and I’m glad it has. The 6th stop on my College Tour this summer, it was without a doubt the biggest pleasant surprise and a place I am now a big advocate for. I actually got in touch with Utah State very randomly. Matt Wells is their QB Coach and Offensive Coordinator. Many years ago, he was a coach at Tulsa. At that time we had a QB named Dave Johnson from Southridge HS in Oregon in our Barton Football Academy. He ended up signing Dave there, and Dave ended up being their starting QB and taking them to the Conference USA Championship game. With our history now explained, a few months ago I received an email from Coach Wells looking for a QB, in his words the next “Dave Johnson”. That got us in touch, and from that point we have stayed in constant contact. It led to me making the trip out to Logan, Utah, which is where the campus of Utah State is located. Coach Wells was an amazing host, and an absolutely great person. He showed me around their entire athletic complex, and introduced me to their entire staff. I was blown away by their facilities, and even more impressed with the coaches on their staff. You can view all of that on the attached footage, but I’ll go through and explain everything to you from a firsthand account. Let me first give you some facts. Utah State is in Logan, Utah and has a population of 50,000 people. The school itself has an enrollment of 26,000, which is a big number. I think those numbers are great for a couple of reasons. The city isn’t too big where there are millions of people and you never see the same person twice. But it’s big enough that you have all the different kinds of restaurants, shops, stores, etc. that make life convenient. I also love the fact that over half of the city is the student population, because that makes Logan a big time College town. Utah State competes in the WAC(Western Athletic Conference) right now, but in a few years they will head over to the MWC(Mountain West Conference). Their Head Coach is Gary Andersen, who took the job a few years ago. They’ve consistently improved under Andersen’s helm, and ended up with a winning record last year culminated with a post season bowl game, the Famous Idaho Potato Bowl, to be exact. I mentioned their staff and how highly I think of them. I’ll mention 3 names that stood out to me. The 1st is the aforementioned Matt Wells. He is exactly what you want in a College Coach, both as a student athlete or for a parent sending their son to play for him. He’s young, energetic, and passionate. I’ve seen firsthand how he recruits, and the thing I’ll say is that he’s 100% genuine in his approach. The 2nd name to mention is Mike Samford. I go back along way with Coach Samford, as he was coaching at Notre Dame when I came out of HS and recruited me there. He’s a veteran, and been around this business more years than most of the kids he’s recruiting have had birthdays. He coaches RB’s and TE’s at Utah State, and is so knowledgeable about the game that he has forgotten more about football than most of us will ever know. His son is the Recruiting Coordinator at Stanford, so coaching and success runs in the family. Coach Samford is another coach that what you see is what you get. He’s very honest and has a lot of integrity, which is a rare trait in this industry nowadays. The 3rd name I want to mention is Head Coach Gary Andersen himself. I got a chance to sit in his office and talk with him. I also watched him at his camp talking to kids and their parents. Coach Andersen has a very calm demeanor about him. He’s the kind of guy I would hate to play poker against, as there’s not much change in his facial expressions or body language. What I can say without hesitation after talking with him is that he’s truly about the kids. Yes he’s getting paid a lot of money to be the Head Coach, and with that comes the expectations of putting a winning team on the field. With that being said, Coach Andersen makes sure that every kid on the team has his position coach in constant contact with them, and makes sure every kid has an academic plan and are meeting their set goals. Utah State is the first program I’ve ever heard about that the Head Coach makes sure that over the off season, every position coach must have a certain amount of personal contacts with his players weekly. And these conversations are not just about what they’re doing in the weight room, film room, or field. They are checking in on the kids and seeing how they’re doing and how classes are going. Basically they are making sure they develop relationships with their kids, and especially for the kids that are far from home they are giving them some stability. Overall I would give Utah State a solid B. Their facilities are great, their coaching staff is as good as it gets, their program is on the rise, and the school is in a great city in a great location. Logan is a clean, modern, and very safe city. Every view from campus and their facilities is gorgeous. Utah State did not have a single coach responsible for recruiting the Northwest before this year. They extended an offer to Wyatt Houston, a TE from Horizon Christian HS in Oregon while he was at their camp and he committed on the spot. At that point, they made the decision as a staff to make the Northwest an area of emphasis in recruiting in the future. Matt Wells is now the man in charge of recruiting this region, and I couldn’t think of a better coach or man to represent their school and program. I also couldn’t think of a better person for a parent to send their son to, knowing that he’ll be taken care of while away from home by someone who cares about more than just what they do on the field. As the Northwest is putting out more talent than at any time ever before, and Utah State is a program on the rise looking for players to take it to that next level, I couldn’t think of a better marriage. So this is a call out for every kid and parent to look into Utah State, and if you’re an under classmen to make sure you get out to Logan and check out the program and school next Winter, Spring, or Summer. And to all you seniors looking for a home, I promise you that Utah State would meet or exceed everything you could ever want in a College experience as a student athlete. Campus Tour Stop #4; B.Y.U.